They are BAD! Already! The yard next door is an unkept wetland. We spray with Yard Guard and use personal sprays like Off. But I hate those. Our guests were dive bombed back off the porch and into the house last night. We need a more permanent solution. Tried the 2 quart pop bottle. Doesn't work. Has it worked for anybody else? Fill bottle with water. Shake.Ready to use. Outdoor garlic sprays, like Mosquito Barrier, will keep backyards and other sprayed areas clear of blood suckers for at least several weeks. The other basic mosquito avoidance advice, of course, is to make sure you don't have any standing water for mosquitoes to breed in. But now there's a new take on that: Use water to make mosquito breeding traps. Female mosquitoes will lay their eggs in the traps, but no adult mosquitoes will emerge. The more traps you use the earlier in the season, the fewer mosquitoes you'll have all summer. The entry to my guesthouse is an alcove and bands of mosquitos just love to spend the day there, hovering right over the front door, so everytime the door opens, a few get in. While we wait on reports on the traps and such, I found the thing below at the local hardware store this week. I installed it several days ago above the door and there are now ZERO mosquitos there! It runs on batteries, has a small can of bug spray in it that lasts a month. Every five minutes, day and night, it gives a quick press on the can nozzle and a puff of insecticide is emitted. The amount is so small I've never felt a drop get on me when I'm beneath it, but it has completely cleared all mosquitos, flies, and gnats from the area. I'm sold! They're about $45 on Amazon. In addition to the bug spray, they also have cans for the machine that emit air fresheners, for use like in a public restroom. Do ducks eat mosquitos? My husband just sent me a picture of a mama and 7 baby ducks playing in our koi pond. Now I need seven cute names. Doc, Dopey, Sleepy, Bashful, Grumpy, Happy, and Sneezy. maybe tiny ones. LOL. My koi are big enough to eat the ducklings! Cool. I saw that on FB and thought - "and what a pretty centerpiece!" Gotta give it a try. One of my FB friends said the same thing. Good idea. What K suggested does work at least in close vicinity of the bottle. Similar idea was used in plantation days for flies too. The other idea is to get a bug zapper for the yard. They have them for 1/4, 1/2 ... acres. We have found strategically placing a couple smaller ones work better than one for a larger portion of the yard. They also serve to help light that area. You place them a certain distance from the inhabited area so the bugs (of all types) are drawn away from people. I usually remind my guests that dawn and dusk are feeding times so it is best to not make yourself available during those times. Expert on NPR the other day says NO BUG ZAPPERS...they attract them. you cut the bottle in half and tehn stick the pouring side into the bottom half. That way, the bugs can easily fly in but not so easily out - like a lobster trap. Good topic. I know there's research behind them being attracted to sugar water, more specifically, fermented fruit juices. Mixing some boric acid with it makes sure it will kill any mosquitoes that drink it. Also as EN said, a fan will definitely work. In summer we keep one running day and night under the porch, blowing at the door where they tend to group, and no mosquitoes group there at all. Turn the fan off and they're back within an hour. 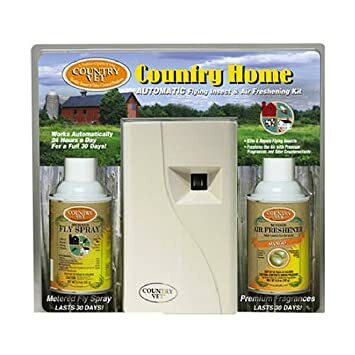 Finally, I got some 100% deet and spray it around one door where a fan can't be installed and that also keeps the mosquitoes from coming in when the door's opened. But the spraying has to be repeated regularly. Thank you. Good stuff. I will probably try them all! Keep a fan going on the porch. That will help chase them away. Not much you can do about them. No perfumes etc. See what the Farmer's Almanac says here. There was something posted on FB - FOUND IT!! Cut a 2-liter bottle in half. Mix sugar with HOT water. Cool. Put in bottom half of bottle. Put funnel end in bottom. Wrap in black and leave top uncovered. Put outside AWAY from people. Change every 2 weeks. The mosquitoes will be drawn to the sugar water, go down the funnel end and not be able to get back out. This is supposed to work. Worth a try. I'm trying to picture this, K,...but can't. When you say "put funnel end in bottom." What do you mean? "Wrap in black".... hmmm what do I wrap? Not sure how the funnel thingy works with a halved 2-liter bottle. Help!! Pictures above show the how. Wrap from edges down in black. Got it! Thanks....I'll give it a try.